Maxwell Bogue and Peter Dilworth have invented the first 3D Pen in 2012. It is the type of pen which can draw in air as well as on the surface. It mainly uses the material called Acrylonitrile Butadiene Styrene plastic (ABS). It is one type of thermoplastic which softens and molds when it is heated and becomes hardened when get cooled. You can also use thermal polyurethane (TPU) or Polylactic acid(PLA) but the most popular for 3D printing is ABS. 3Doodler is the first 3D printing pen in the world the amazing feature of this 3D pen is that you can hold it in your hand and can draw any image or shape off the page. Birthplace of the 3D pen is Massachusetts. Maxwell Bogue and Peter Dilworth introduce 3D pen with the name WobbleWorks 3Doodler pen. After an introduction of the first 3D pen, many other manufacturers came forward to manufacture 3D pen. Dim3W, Genesis, iEgrow, Lay3r and some other names who started manufacturing 3D pen. 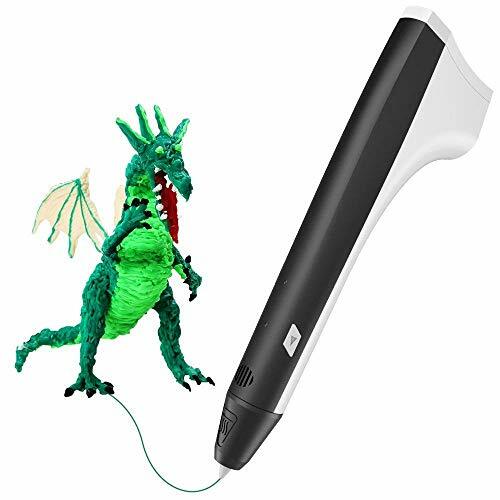 It is similar to handheld printers you can draw any shape or image with plastic on almost any kind of surface you can draw or modified any 3D printed object with the help of the 3D pen. Day by day many new features and modifications in the 3D pen making it more effective and easy to use. Some settings like temperature setting and speed setting are some basic setting you have to do before you start drawing with 3D Pen. It also gives the feature to connect with power supply and turn on for further action. Proper selection of filament is necessary before you start work. Make sure that the filament you selected is perfectly suitable for your 3D pen. Instead of ink 3D pen uses plastic. The 3d pen has heating technology at inside, when you insert plastic filament inside the pen it gets heated and converts into liquid form then you can write or draw anything you want. It uses the almost same working principle of the glue gun. It contains electric heater which melts the plastic filament and turns it into liquid form and instantly cools when it comes out of Pen’s end. Start the power supply which is connecting to the pen and insert the suitable plastic filament in the pen. Then adjust the temperature with the help of temperature setting feature given in the pen. You can use this feature when your pen is designed to work with different types of filament. Wait for few seconds when indicators on pen give the green signal, the green signal indicates that your plastic filament has converted into liquid form and you can start your drawing or printing. Then turn on extrude button and let the liquid plastic flow out from the side of the pen, adjust the speed according to your need. We can use ABS or PLA plastic filament though ABS is popular and widely used material. It is very similar to desktop 3D printer except that it is controlled by hands and printers are controlled with software programs. You can draw any kind of shape on any surface as well as in air, while choosing filament to make sure that you got the correct filament for the pen you are using, otherwise pen will get overheated and may damage because 3dD pens are very much sensitive to overheating you can choose different filaments of a different color . You can use ABS, PLA, Nylon, HIPS and any type of material as per your need budget though ABS is a little bit costly but it is durable material. Or you can use PLA it is also a good choice but choose proper filament material to avoid clogging. 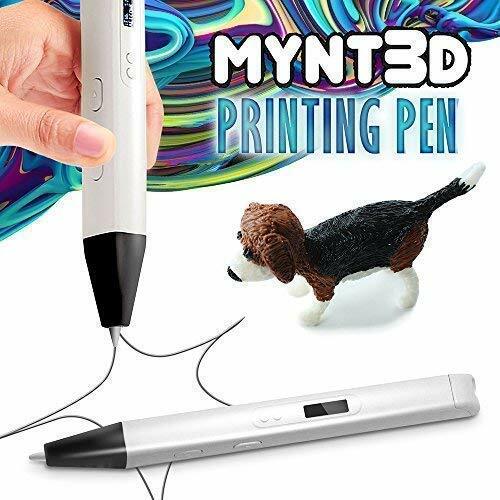 It is the wireless 3D pen and you can draw it without connecting to the wire for 2-3 hours. It is easy to use and for all age categories. It allows you to replace the battery when you need. So you can enjoy it without any interruption or wait. If you are more than 8 years old then it is the perfect instrument to draw 3D drawing. The design is such that you can draw with any hand size no matter you are kid or adult it gives same comfort level for everybody. It is lightweight and easy to use. It also gives a book with 24 projects in each box which helps to develop creativity and helps to give new dimensions to your drawing skill. Each pack contains the 3D simobasic pen, battery, book with 24 projects, material for 3D drawing and manual to guide you how to start and how to use. You can easily charge with via USB cable. 3D Simo is lightweight with almost 50 g of weight which is easy to handle for any age group. It has the long front button which provides comfort to the user and it is pretty easy to handle due to its ergonomic design. Also, it is very small and compact in size so you can carry easily with you. 3Dsimo basic is the model with many features which makes your drawing easy and convenient some features makes 3D Simo quite user-friendly. 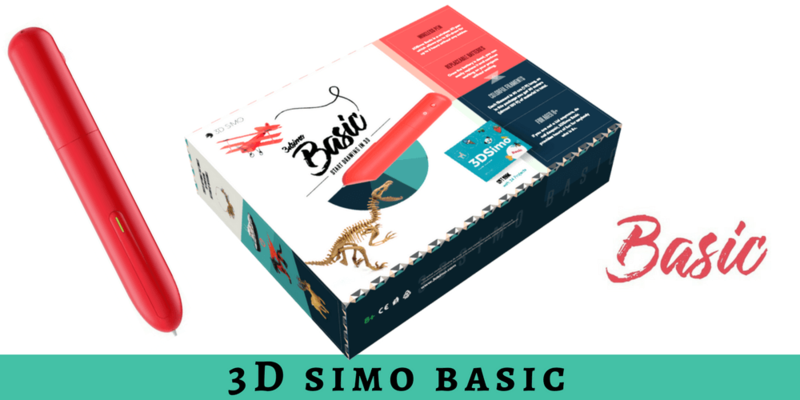 Let us take a look at the features of 3Dsimo basic. 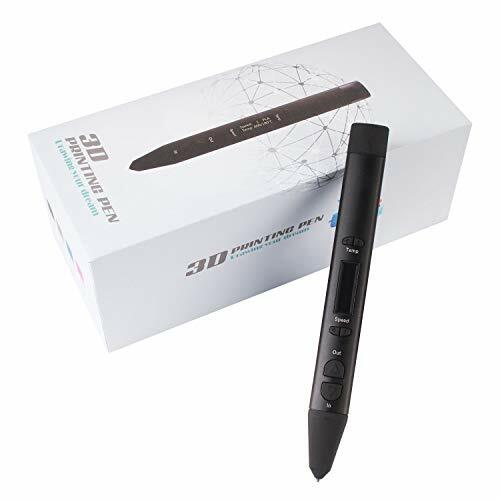 3Dsimo is a wireless pen so you can easily draw without connecting it to main supply, you just need to charge it’s battery with USB cable and then you can draw with it without interruption of 120-180 minutes. You can easily replace its battery if the current battery is dead and it takes less than an hour to fully charge. It gives you the freedom to use any material. Kids more than 8+ can easily draw with 3Dsimo basic with all kinds of material without any harm. 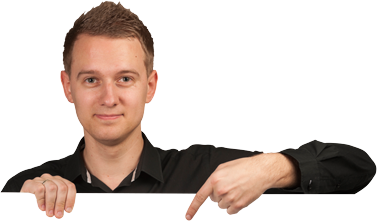 3D Simo is quite safe to use. Tip of the nozzle can reach a maximum temperature of 50° means almost no possibilities of burn. It is very easy to use and kids more than 8+ also can use it. It includes the book of 24 projects with each 3dsimo pack which boosts to your creativity and helps to enhance your drawing skill. 3Dsimo with lightweight and ergonomic design gives you comfort and complete control over your pen which improves drawing quality. It is wireless hence no need to connect it with main supply can use it for 3 hours once it charged. Safe to use as nozzle tip can reach a maximum temperature of 50° no danger of burn. Replacement of battery is quite easy and easily available. Ergonomic design and lightweight makes drawing easier and gives ultimate comfort. Includes book of 24 projects which helps to improve creativity and skill of the user. Many users experienced poor customer support. Does not give speed and temperature control feature. Need to use under the supervision of adult if you are below 8. 3D Simo mini is like a complete package because it not only draws but also can be used for burning, cutting and soldering it is the perfect 3D pen for designers and creators. It is the next generation of the 3D Simo pen which supports varieties of material with this you can easily adjust the temperature and feeding speed. You just need USB to charge this mini model of Simo. It is available in worldwide so no need to worry about which country you live. It designed such that anybody can use it from beginner to commercial artist everybody can easily use it. It is available with ABS, PLA, wood, metal,thermochromic, Fluorescent and many other materials. Though it is safe to use while using by kids supervision by adults would be better because it reaches the maximum temperature of 480 degree Celsius and the tip gets very. So avoid directly touch to tip. Many other 3D pens can work with plastic or sometimes with wood but 3D Simo mini also can work with metal and makes it different from others. With the 3D Simo mini you can draw a solid structure in air. You can do soldering with mini so it works as soldering tool you don’t need to buy separate soldering machine. 3D Simo mini comes with the mobile app which controls the temperature and feeding speed. You can connect your mobile to the mini via Bluetooth and can easily control temperature and speed according to the material. 3D Simo mini designed such that you can perform all operations like drawing, cutting, burning and foaming very easily, mini is designed such that it stands with the temperature up to 490° which is quite high, and any part except tip does not heat. It designed such that you can easily change nozzle according to your operation. It is smaller in size than it’s original 3D Simo pen version. 3D Simo mini comes with outstanding features which you could not get with its original 3D Simo pen. Let us take a look at features. You can drawing, soldering, cutting and burning with 3D Simo mini. Tips can be changed easily according to your need. It has the wide temperature range from 0° to 490°. Can easily charge with USB cable. Anybody can use 3D Simo mini no matter he is beginner or professional artist. 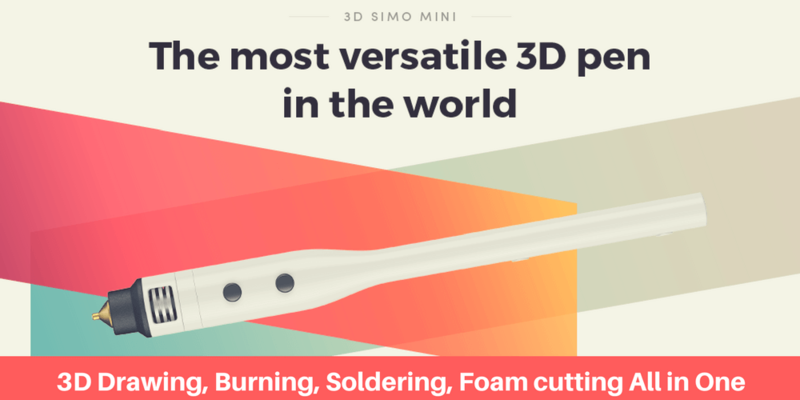 Multitasking is the most important advantage of 3DSimo mini, you can perform soldering, wood cutting, foam cutting, burning and drawing with it. Tips can be easily changed according to need. Can stand up to the temperature variations from 0°to 490°. Temperature and speed can be easily controlled through mobile which comes with the Simo mini app on both platform android as well as IOS easy to connect with Bluetooth. It can be used with different kinds and varieties of materials like Laybrick, Blue Luminous, Fluorescent, Wood, thermochromic, metal and of course with ABS and PLA. Each pack comes with 4 different nozzles and can be easily changed according to function. It is not wireless you need to charge it with USB. Sometimes it makes the sound when it is in drawing mode. Fast charging is not possible. You can design and print 3D with the help of AIO robotics3D printing pen which gives high precision. It has the facility to easily adjust the material flow as per our need. It is only compatible with PLA material. It is slim in shape though it is durable because it has metal body hence easy to draw for kids with small hands. It has 1.7 mm filament. It has the bright OLED display to easily monitor temperature and flow. It gives temperature control at 1° increments. The package comes with 2 colors of PLA filament and has manual, cable and A/C adapter inside it. It has good customer support with one year warranty. the company has recommended 180° C temperature while operating it with PLA filament. It is easy to clean after completion of your work. though tip is not replaceable but having robust construction so fewer chances of clogging. It works quite smoothly and silently with no noise at all. It can reach upto190°C temperature which is suitable for PLA. It has the robust but slim design with the metal body which extends its life. It has an ergonomic design and gives good grip while drawing; in short, it’s a handy tool to draw any kind of 3D shape. It uses 1.7mm rolled filaments. Slim and ergonomic design with the robust metal body. Has bright OLED display for which helps to easily monitor temperature and flow. It comes with one year warranty and excellent customer support. It comes with 2 colors of PLA filament. AIO pen’s filaments are available in 16 colors. Gives higher precision in drawing any design or shape with 3D. It has temperature control with 1° increments. It uses rolled PLA filament. It has the robust metal case which gives durability. It has temperature control feature with 1° increment. The company gives a 1-year warranty with excellent customer support. Comes with the bright OLED display to easily monitor temperature and material flow. Gives an option to regulate the feed speed. The company offers 2 free PLA filaments of different colors. Gives better control over hand movement and precision in the drawing. It is ROHS approved and FCC and CE certified. The biggest drawback of AIO 3D pen is that it is only compatible with PLA material. It is not cordless you have to connect cord while working. In case your tip gets clogged you cannot replace tip which is another major drawback. It does not have auto retract facility you have to do it manually. It is only available in black color. Not capable of reaching 190° temperature which is only suitable for PLA material. The little bit complex to use hence need to use in adult supervision while using for children. It gets very hot on the tip may harm. Design and 3D print astonishing three-dimensional art objects in high precision! Control the temperature in 1 degree increments to adjust for PLA variety. It is the 3D printing pen comes with 1.75mm PLA and ABS. it is suited if you are new to 3D printing. It is the professional as well as durable. It comes with one important feature that it automatically shut off if not use more than 5 minutes. 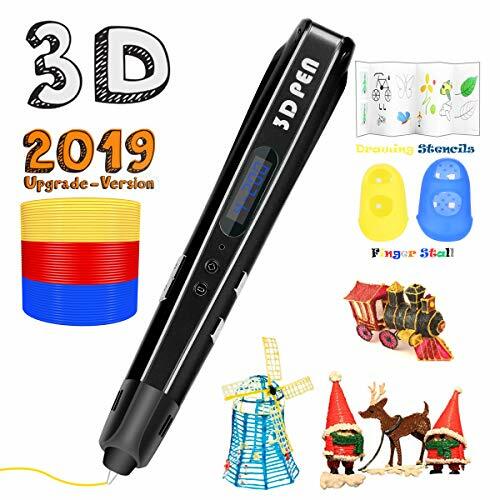 it gives variable temperature regulation and speed regulation which helps to reach your drawing quality on upper level.one of the best 3D pen as beginner’s point of view. Each pack contains 1Manve professional 3D pen, 240V power adopter.3ABS filament of the different color, user manual. It also comes with the OLED display which helps you to monitor the temperature easily. adjustable feed helps you to control speed and feed which gives best drawing experience. It is lightweight, slim and easy to handle 3D pen which is easy to handle and easy to control for adults as well as for children. 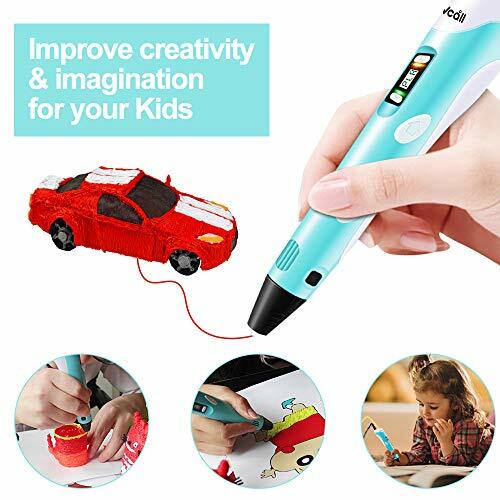 It is the perfect 3D pen for the child having more than 6years age. It has designed with intelligent standby function which avoids the pen from overheating or damaging in case you forget to turn off the power it gets the turn of automatically after 5 minutes if not in use. It is the best suited 3D pen for beginners with having different safety feature as well as control features. Let us see what features this 3D pen has. It comes with intelligent standby function avoids damage. Offers temperature and speed regulation for better control. Lightweight and slim with ergonomic design. Gives OLED display for an easy monitor. It has fast boot setup. Suited for PLA and ABS materials. It has lightweight and slim hence easy to handle for children. It is durable and professional with having the esthetic and ergonomic design. It has the intelligent standby mode which protects the device from overheating and damage, automatically turn off after 5 minutes if any movement of the pen is there. Offers adjustable setting for controlling temperature and speed for better performance. It gives fast boot setup in just 30 seconds which makes drawing faster and quicker and saves your time. It is suitable for children and adult. Very easy to load the filament. Package includes 3 ABS filaments with the different color. It is available at affordable cost. The best entry-level pen for the beginner. Liquid gets quickly cooled as soon as it comes from the pen so you can touch the shape without gets harm. Extrusion of material is slow. The heating mechanism is not much strong and can easily damage. It is the simple 3D pen which performs better with less price. Especially if you are the beginner and want to start 3D drawing then it is the best option for you. it has the adjustable feed control facility which makes your drawing more comfortable and cleaner, for easy monitoring you have OLED display available in it. Temperature can be easily adjusted with 1° increments from 130° to 240° for getting optimal fine tuning.it’s the slim and ergonomic design gives you better drawing experience. Pen kit also includes 3 colors of ABS plastic filament and 1 A/C Adapter. It has certified with FCC (Federal Communications Commission) and RoHS. You must press the feed button to heat up the filament. For PLA filament best temperature range is from 165° to 190°. Incorrect temperature setting may jam your pen so it is advised that you must properly adjust your temperature. PLA filaments are best suited for children use with MYNT3D Professional 3D Pen.MYNT3D gives good customer support in case of any difficulties or questions. It has the ergonomic design with lightweight. Stylus made such that it gives ultimate comfort and control over your drawing. Perhaps it is the lighter pen which has only 1.4oZ as well as very slim in design. It is one of the cheapest 3D pen with great performance. It contains a lot of features with affordable price. It offers bright OLED display which helps you to monitor easily. You can adjust temperature setting and speed setting as per need. It is fully compatible with battery power banks hence compatible and can use anywhere. Slim and lightweight design offers the ultimate comfort of drawing. Pen kit comes with 3 different colors of ABS filament. It is very cheaper in price compared to other 3D pens. The slim and ergonomic design gives ultimate drawing comfort. It has OLED display which helps to monitor speed and temperature. It has adjustable temperature control setting with 1° increment. It has an adjustable feed to regulate speed and flow for better control of material flow. Excellent customer reviews which improve its reliability. It gives excellent customer support. Can easily adjust feed and temperature when switching between ABS and PLA filaments. 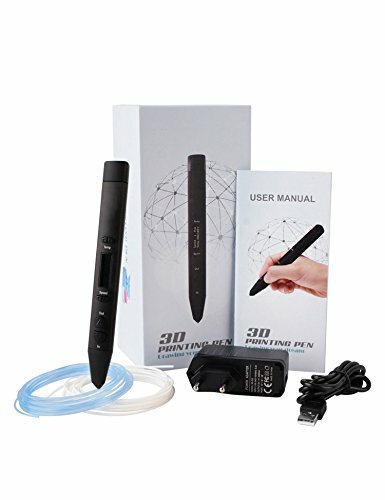 Best 3D pen for beginner’s point of view. Pen kit includes 3 ABS filaments of different colors which enhance the joy of drawing. Supported by USB and power bank for power hence can use anywhere. You can work with different types of plastic materials along with ABS and PLA. Sometimes it observed little bit noisy. Extrusion rate is slow compared to some of its other competitors. Though it has many positive reviews observed some negative feedbacks too. It is the most affordable 3D pen and reaches to everyone’s budget. It has specially designed for kids. It is light in weight slim and easy to handle can easily control extrusion speed. It has designed and made for kids but it is suitable for all no matter you are a man, women, kid, professional artist or beginner, this pen satisfies the need of everyone. It also comes with ABS filament, power adapter and user manual and pieces of template paper. You can use any thermoplastic material as well as bronze and wood filament can also use. You can easily control and regulate the speed and feed of it which gives better control on your drawing activity. It has slim in design light in weight with pleasant look gives comfortable movement of the hand and makes your drawing effortless. It is compatible with all thermoplastic material as well as with wood and bronze it means can stand with variations of temperature. Compatible with any thermoplastic as well as with wood and bronze filaments. Speed and flow control is quite easy. It has the bright OLED display to monitor speed and temperature. Can easily adjust the temperature according to our need. It can be powered by USB as well as with power bank hence can easily work outdoors with it. You can easily replace the nozzle. It can work with varieties of material. It is compatible with all kinds of thermoplastic as well as can work with bronze and wood filaments it means complete freedom in use of filaments. The slim and ergonomic design makes drawing activity effortless and enhances control over the pen. You can regulate the flow of filament very easily. Replacement of nozzle is quite easy in case current nozzle gets the clog. It is portable powered and you can charge it with USB charger and with power bank. All activities like temperature regulation, speed regulation can clearly display with OLED display hence easy to monitor. Extrusion of the filament is quite precise. It designed such that it is suitable for the people of all ages and with all professions. The hexagonal design gives better grip while drawing. It is possible to draw vertical as well as horizontal very easily. It offers very good customer service. Changing or replacing filament is very easy hence can use various colors with various filament materials. The company has upgraded its design which makes it more durable and stable. Though replacement and change of filament are very easy sometimes it is difficult to eject filament. It makes little bit odd in design means some buttons have placed along with grip so may chance of pressing these buttons by mistakes which may disturb your settings and you have to again do all settings as per need this activity is time-consuming and the little bit tedious. Techboss 3D pen comes with 2 filaments modes so you can easily use the material you want. It also comes with 2 power supply modes so you can charge it with USB adapter or with power bank. It is the best device for children to explore his/her creativity and drawing skill. It also can work with PCL material as well as with PLA. It has the special feature which makes it different than others. It has one button control feature which makes design and drawing easier, it has embedded with the intelligent chip which guides for steady temperature and extrusion it means you don’t need to give special attention for temperature and feed control. For better heat dissipation it has the ceramic nib which finely dissipates heat and improves safety as well as durability of the pen. Package contains. It designed such that it suits to all age category and profession, it does not matter you are the student or professional artist it gives you same convenience and comfort of drawing. It is compatible with 1.75mm PLA and PCL filament. Each pack contains 2 PCL filaments of different colors which make your drawing work more interesting. Tecboss 3D comes with the slick and ergonomic design with lightweight which reduces fatigue of your children’s hand. It has ceramic nibs which easily dissipate heat and extend the life of pen. It is very light in weight almost 1.oo LBS which give better control and better hand movement. Tecboss is a stylish drawing instrument which gives exciting features and makes children’s drawing more interesting. It has some unique features that you cannot get in some of its competitors. It comes with 2 filament modes for easy switching between desired materials. Compatible with 1.75MM PLA and PCL material. One button control feature makes this pen unique from others. Each pack contains 2 PCL filaments of different colors helps to enhance drawing skill and creativity. Slim and lightweight with ergonomic design gives better control and reduces drawing efforts. Patented ceramic nib easily dissipates heat and extends the life of the pen. Suitable for all age category. It has 2 power supply modes. Better speed control and temperature control. It has 2 filament modes and can easily switch between PLA and PCL filaments. It has 2 power supply modes which are more feasible you can charge with power bank and with the USB adapter. It gives the special feature of 1 button control which makes drawing easy. It is embedded with one intelligent cheap which automatically controls temperature and makes it steady as well as it controls the speed of extrusion. It has the ceramic nib which easily dissipates heat and extends the life of the pen. Light in weight and slim in design reduces efforts of hands. It comes with 2 PCL filaments of different colors which help to enhance drawing skill. Suitable for any age group category does not matter if you are using 3D pen first time you can easily draw with it. You have to connect with power supply during use, it is not wireless. It does not compatible with ABS filament. No separate controls for adjusting temperature and speed. Tipeye launches 3D printing toddler pen which is compatible with both filaments like ABS and PLA. it is convenient for kids as well as for the professional artist, for doodling and printing it has the high-grade aluminium body with 1.75mm ABS and PLA filament PLA filament is specially referred for kids as it is safer than ABS hence mostly used for tip eye 3D pen. It comes with 1 free PLA filament. it gives the features of adjustable temperature control and speed control which makes your drawing more safe and comfortable .the heater nozzle is easily replaceable. Tipeye gives you the 1-year warranty on the product you purchase. It takes only 50-60 seconds to heat filament and immediately stop the liquid out of the nozzle when you stop drawing. Tipeye 3D comes with the slim and ergonomic design with high-grade aluminum which makes drawing more comfortable and safe. Due to its lightweight, it is easy to handle for children. It designed such that you will get maximum control on the movement of the tip while you drawing. It gives you advanced LCD display screen which shows speed, temperature, and filament which helps to control speed and temperature and makes your drawing easier. Top eye 3D is fully compatible with ABS and PLA filaments though PLA filament is widely used because it is odorless and non-toxic hence safer to use. Each pack contains 1 free PLA filament for kids which are another advantage to buy it. Tipeye gives you one year warranty with whole life customer service which makes this product more reliable. It allows you to return purchased the product within 30 days. You can easily control temperature and speed as per your need. You can easily replace the heater nozzle of the tipeye 3d pen. Compatible with ABS as well as PLA filament. Easy to use for kids as well as for professional artist. Easily adjustable temperature control setting and speed control setting. The lightweight and ergonomic design gives better control and comfort for drawing. With LCD display you can easily monitor temperature and speed. Gives 1-year warranty with 30 days replacement policy. Offers 1 free PLA filament with each pack. Gives good customer support for lifetime. It has the high-grade aluminum body with 1.75 mm ABS and PLA filament. It gives automatic filament feed which reduces your efforts. It comes with pen stand which helps to protect tip of the pen. Cheaper than many of its competitor. Only heating part of the pen is it’s nozzle hence safe to use. Power cable comes with the length 4 feet which may not sufficient in some situations. It is not wireless hence you have to make provision for its power supply. Feeding of filament is little bit difficult as it interferes with adopter though you will not feel more difficult after little practice. 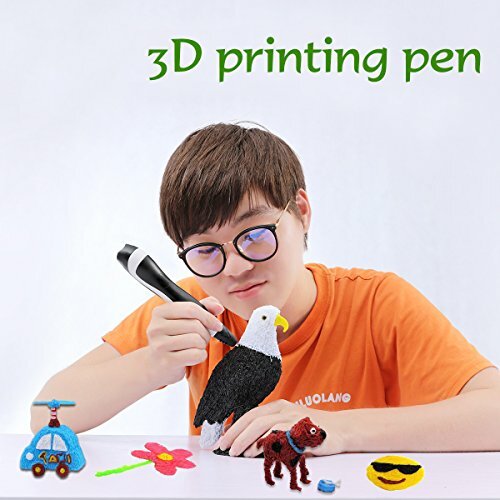 【Normal Temperature 3D pen】 Compatible with Both ABS & PLA Filament - The Aircraft-grade aluminum 3D drawing pen is suitable for both 1.75mm ABS & PLA Filament. PLA Filament is non-toxic and odorless,safer than ABS, and tend to be widely-used filaments.Please do not use with PCL filament. 【Adjustable Temperature and Speed】The 6th Tipeye 3d pen is compatible with both ABS & PLA Filament. PLA Filament is non-toxic and odorless,safer than ABS, and tend to be widely-used filaments, included 1*24.6ft(7.5m) length PLA filament.Please do not use with PCL filament.The Aircraft-grade aluminum 3D printing pen enables you control the temperature and speed when you enjoy drawing. 【Warranty from the purchase date】 30 days return [replace] a purchase,1 year Warranty and whole-life customer service, please contact us through us.services@goodrvm.com if you have any problem with this 3D pen. We will offer you solution within 24 hours. 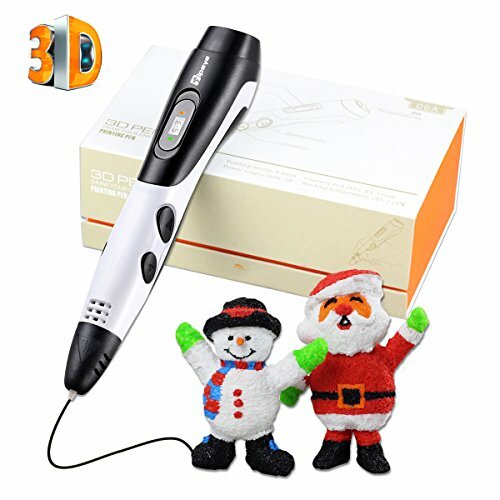 It is the 3D painting pen designed for the kids with having LED display. It is safe to use and certified with CE and FCC. Kid with having more than 8+ years of age can use Uvital 3D doodler. It is compatible with PLA and ABS. Nozzle has made with ceramic metal which improves safety of the pen it does not harm while you touch it to the tip you can easily switch between ABS and PLA filament mode when filament material gets changed. It can be operate with power bank. 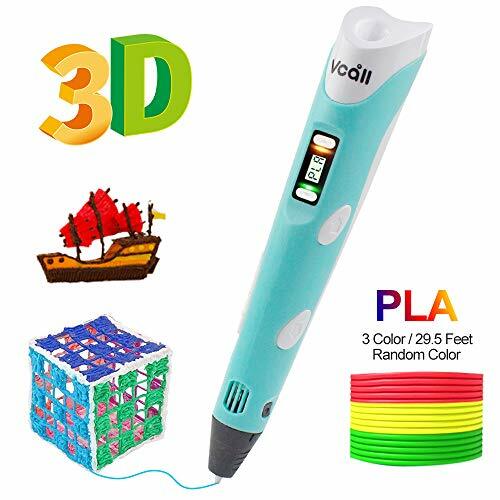 Uvital 3D drawing doodler pen enhances the creativity and skill of child which gives new dimension to his/her talent. It is having 1.75 mm of supplies diameter and 0.7 mm printing nozzle. And it has the adjustable settings for the temperature. Also can adjust the feed setting. You can use USB charger with DC power supply. Uvital has light weight less than 60g, it is safe to use though the nib can be heated up to 230° so should not be touched with hands.with the Uvital you can draw,doodle and paint. Expert suggest to use PLA material because it is echo-friendly material and not harmful for environment. It gives you feature to adjust the temperature according to filament use. For ABS 210°to220°C temperature and for PLA 185° to 195°C temperature has recommended by experts. Each Uvital pack contains 3D pen, 3 filament of PLA material, pen cap and power adapter. Uvital is CE, ROHS and FCC certified and perfect instrument for the children who are more than 8 years old. It has the user-friendly design specially designed for the children it is handy in size. It is slim and lightweight and its ergonomic design makes fatigue free drawing activity of your child. It designed such that you can easily switch between PLA and ABS filament with simple push button. Dual mode for feeding you can easily shift between PLA and ABS filament. It has the ceramic nozzle which improves safety. It has settings to adjust the temperature according to need. It has LED display to easily monitor the temperature and feed. It is completely safe for kids more than 8 years of age. Easy and safe to use for children. Can easily switch between PLA and ABS. Dual mode for feeding, by holding the power button you can feed continuously and release the button when want to stop feeding. It has 1-4 file adjustable discharging speed and also can return the material with return button so in that case you can immediately return back the material. With the LED display you can easily know the temperature, material type, speed and safe warning. Easy to adjust the temperature settings according to the material used as the filament. It has already obtained the certificates like CE, ROHS, and FCC. Slim in size with the low weight which makes it user-friendly by the children’s point of view. It has 30 days free return /replacement policy for customer’s convenience. Each pack contains free 3 PLA filaments. Does not support other materials except ABS and PLA. Safe for Kids and Adults: CE ROHS FCC Certified,designed with no hot parts completely safe for kids aged 8+. Pen nozzle and plastic can safely be touched with no burn risks. LCD display can directly show the information like supplies type, speed, temperature, and safety warning. Aviation ceramic nozzle material make it safer while using. Incredible Imagination and Creativity: Uvital 3D Pen will let your children have a lot of fun as they get the chance to explore their creativity. And while they are being creative, they also develop new skills and abilities. Some of the skills your child can develop using the Uvital 3D Pen motor skills, DIY, spatial thinking, creativity and imagination, hard work, planning and organization, attention to details, and hand-eye coordination. Environment-Friendly: The 3D Printing Pen is made with environment-friendly plastic, both PLA and ABS printing filament fit this pen. Smart Operation: Two materials choices,support shift between PLA and ABS. Support dual-mode for feeding, Hold the "Forward" button to feed continuously and release to stop feeding, or double press the "Forward"button to feed continuously and press again to stop feeding.1-4 file adjustable discharging speed. Long press the "Return" button for 2 seconds to return the supplies automatically. AC/DC adapter 5V 2A.It can be driven by a standard power bank. Unique Birthday Christmas Gift for Children: 1-Year Warranty, promptly reply for any questions in 10 hours. 30 days free return/replacement. Easy to use for kids and has enough features to keep them happy for a long time. As long as kids operate the pen under proper supervision, things won't go wrong. It is the 3D pen with having 0.7 mm Nozzle it is compatible with ABS and PLA it has the ergonomic design with lightweight gives precise control over movement. It is one of the best pens for freehand 3D drawing changing of the filament is pretty easy by just pressing a button you can quickly start with changing filaments. The led indicator indicates the operating temperature. Each package contains 3 ABS filaments of 1.75mm, power adapter with user manual. It has the plastic case cover which is eco-friendly. It uses AC power input with 110V-220V. It has easily adjustable sprinkle speed. It is the best option for the children more than 8 years old. It has pleasant appearance and design, especially in 2nd generation pen. It has LCD display with temperature adjustment feature and also has easily adjustable speed setting which allows you to slow or fast the feed as per need. It is safe to use because variations in temperature can be easily shown on LED display. It also comes with 3 ABS filaments. It has designed such that you can immediately start working with it. Though you are beginner you can easily start with it. Ergonomic esthetic and sturdy design with lightweight gives ultimate comfort to your hands, low weight and better grip gives more control over your drawing activity. It designed with 0.7 mm nozzle size with 1.75 mm filament it has the plastic body with size 187*44*30 mm. Built with 0.7mm nozzle size and 1.75mm of filament size. Compatible with ABS and PLA filaments. Easy to change filament with 1 press button. The package comes with 3 ABS filament of 1.75mm with the different color. It gives LCD display with temperature adjustment feature. It comes with environmental friendly plastic which can dispose of easily. It designed such that you can easily start work with it. Temperature can be easily controlled. It has LED display to monitor temperature variation. The simple, lightweight and sturdy design gives drawing comfort. Good customer support with the 1-year warranty. Changing of the filament is quite easy with the just 1press button. Safe to use for the children over 8 years old as well as for all age categories. It comes with an environment-friendly plastic case which can be easily disposable. Helps to enhance the creativity of children. It is light in weight hence reduces drawing effort. It only comes with the purpose and blue color. We found some negative reviews and feedbacks from the customers. 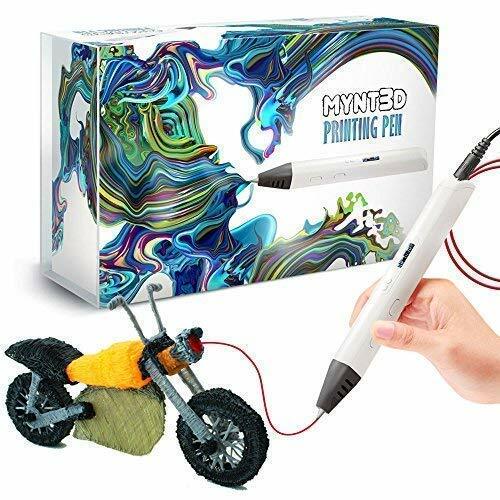 Second generation 3D modeling pen with LCD display for filament & temperature.Good gift for children to create their art inspiration with drawing artistic works. Temperature controllable ability: It can be used to control working temperature while using to avoid burn harm. Before buying 3D pen you must aware of its features, specifications, application, additional features and many more things must be taken into consideration. Let us see some points before buying the 3D pen. The design is the very important to point you must consider before you buy a 3D pen. Ergonomic design is the basic need of any 3D pen, the pen you use must be easy to handle and easy to operate, lightweight and, it must be slim and pocket-sized. The 3D pen needs charging so it must be easy to charge pens with the USB cables. While you drawing you should feel light and comfortable. while you drawing you must able to look easily to your surface on which you are going to draw sometimes it is difficult to access the display the surface and you cannot easily look at the surface, it must be easy to check the flow of liquid. As we already discussed the selection of filament type is one of the important factors while buying the 3D pen. filament consist plastic there are different kinds of plastic materials used in filament you can separately buy filament if you are not satisfied with the filament comes with the pen, always buy replaceable filament type while buying filament separately or while buying filament with pen take a look at the types of filament available. the filament has 4 types standard, flexible, specialty, and composite so while buying pen you must take in into consideration about the type of filaments. There are a lot of new brands and manufacturers have come in market with the different controlling features like temperature control feature or speed control feature. which helps you to make your drawing more comfortable and can be easily raised the quality of the drawing. You can easily control your drawing speed by controlling temperature and speed of flow of liquid. Adjustable feed regulates speed and flow. While buying 3D pen this point must keep in mind that control on speed and temperature is very much important to make our drawing more comfortable and easy. If you are buying 3D pen first time then it is impossible for you to know about each and every pen’s performance. So while buying check reviews from different online shopping sites and check reviews on other websites which may give you honest reviews about the particular product. Sometimes you will find all positive reviews about some brand or product in that case cross check it with the different source. Or on the different shopping website. It is possible that reviews are fabricated so don’t believe blindly if you find all good reviews, it is almost impossible to have 100% positive reviews about any product. Brand name matters a lot. As a buyer you have many more choices, first 3D pen was invented by 3Doodler, after that many brands entered in this area, brand like Scribbler offers 6 months warranty, and some other brand like Lix gives you some unique feature so while buying your first 3D pen you must compare all top brands and their products with feature they offered. Along with 3D plastic pen you have another choice of cool ink pen cool ink pens are easy to drawing and same effective like 3D plastic pen and it is also safe to use for children. for example, if you want to buy a 3d pen for children and don’t want to draw only on the surface then think about cool ink pen otherwise 3D plastic is the better option. And one more important point is that though cool ink pen fulfills your basic requirement the control and quality of drawing with the 3D plastic pen are better than the cool ink pen. 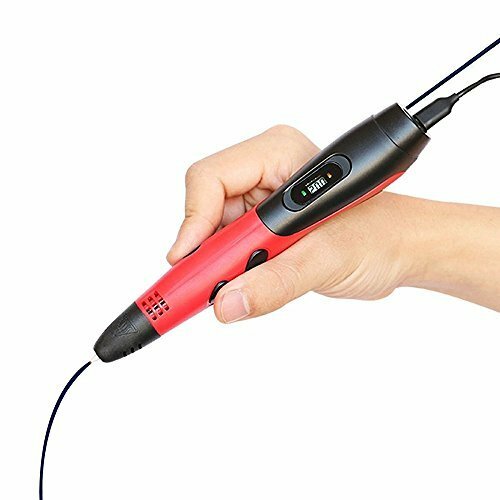 Finding the best 3D pen is quite challenging, especially that there are tons of manufacturers claiming to give you the best deal. Unfortunately, only a few deliver. If your need is just confined to something like your kids’ school projects, presentation, or a mini exhibition, then 3D printing pens would make an even better choice than 3D printers. We realized that even the best brands have some defective items. Thus, it is best to consider those that come with guarantee satisfaction or after-sale support. This market is new but there are many choices out there for 3D pens. 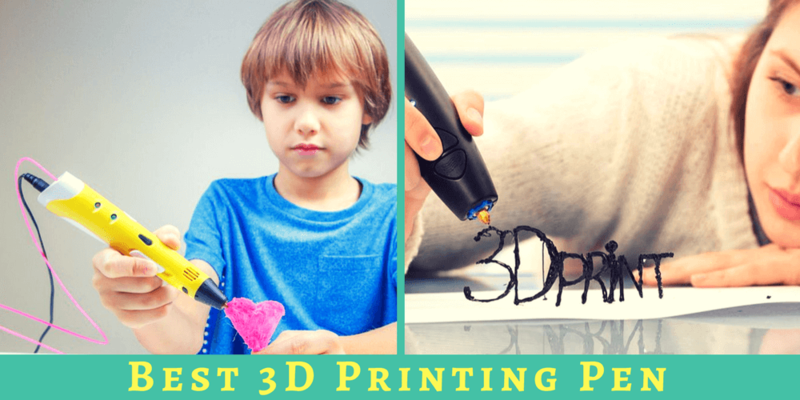 Hopefully, our list will assist consumers in picking the best possible 3D printing pen. The Most Versatile 3D pen in THE World!